FMCG Monitor Q1 & P04 2016 is here. 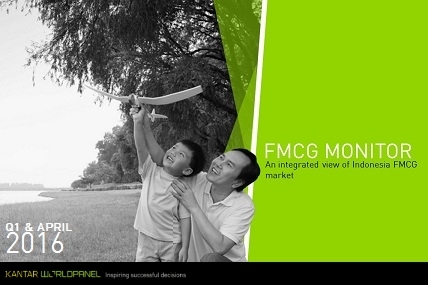 Fill your FMCG news need with improved contents and fresh new look! All consumer groups are impacted by the economic slowdown, they reduce their frequency of shopping trips. Modern trade channel shows negative growth this period compared to year ago, driven by negative minimarket growth. Fortunately, traditional trade shows positive growth. Food and dairy accounts for more than half of the market value. While dairy is enjoying slight positive growth this period, food is facing negative growth, driven mostly by secondary food categories decline like snacks, as consumers still spending their money cautiously. Consumers are still cautious on spending their wallet: they tend to focus their spending on daily primary categories.